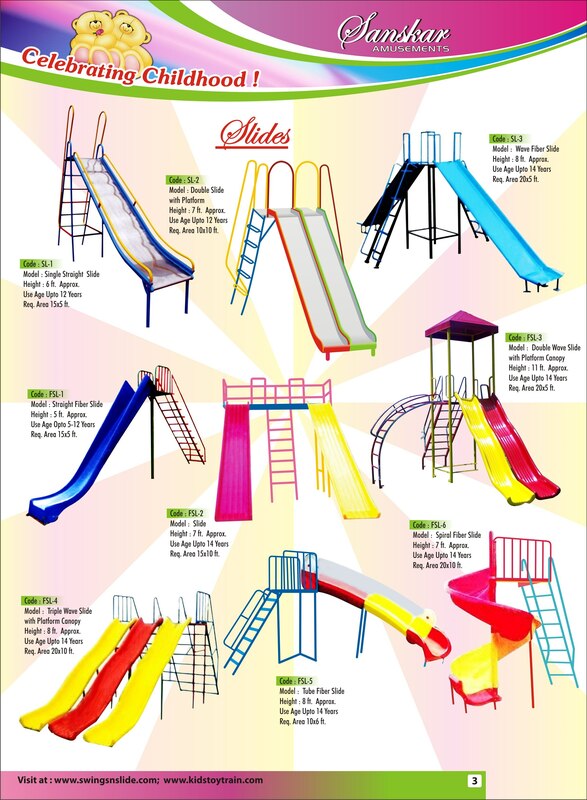 We are the leading manufacturer of playground slides in India. Playground slides are found in parks, schools, playgrounds and backyards. The slide may be flat, or half cylindrical or tubular to prevent falls. Playground Slides & Gliders are a fast, fun and exhilarating way for children of all ages to get up and down. We offer a wide variety of slides, from simple and innovative. Sanskar Amusements Provides good price as well as quality promise.